A self-proclaimed hacker has taken credit for being the guy who tampered with Taco Bell's PS Vita contest, triggering a pile of incorrect winner notifications. You'd be forgiven for viewing Taco Bell's claims that the false winning notifications in its "Unlock the Box" contest were the result of someone "attempting to gain illegal entry and defraud the system" with a little bit of doubt. That's just the sort of thing a big, uncaring corporate machine would say, after all, to dodge its responsibility for screwing up and jerking around consumers. But in this case, it's apparently true: A hacker going by the name "Sinister" claimed on the ExploitN forum that he's the man who made the mess. 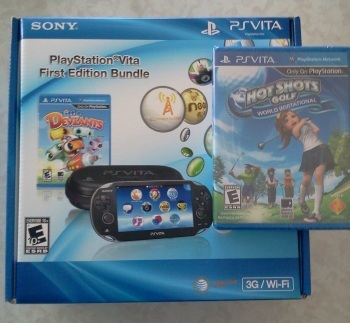 Sinister posted a picture of the Vita sent to him by Ventura Associates, which ran the contest in conjunction with Taco Bell, as well as the letter confirming his win. "Got with the same bot I used for the Vita sign up page," he wrote. The message has since been edited to remove mention of the bot but Kotaku has a screen cap of the original post and there are plenty of follow-up messages congratulating him on his "win" and either thanking him for enabling others to claim one as well or expressing disappointment than their own attempts to hack the system were caught out. Taco Bell was also sent a copy of Sinister's original post, and it doesn't sound like the company is in the mood to forgive and forget. "We have zero tolerance for individuals who attempt to attack or illegally enter the Unlock the Box promotion," it said in a statement. "Any attempt to deliberately undermine the legitimate operation of this promotion is not only prohibited by the rules, but also may violate criminal and civil laws. We will fully investigate these allegations and will explore all legal remedies." It's won't be of much solace to those who mistakenly thought they were winners, but the part of me that doesn't want to be cynical finds it oddly comforting that this whole mess was in fact caused by a jerk with a bot. It's still unfortunate, but I'd far rather have to deal with one guy determined to exploit the system than a system that's determined to exploit everybody.